Just Careers Training Pty Ltd trading as Licences 4 Work is approved by NSW Food Authority to provide Food Safety Supervisor training and Certificates. In NSW, our course is Approved and Recognised by the NSW Food Authority and covers ALL NSW businesses (not licenced by the Authority) that require a Retail Food Safety Supervisor Certificate holder by LAW. In ACT, our course is Approved and Recognised by ACT Health Authority, however only covers those businesses that are considered Retail Food businesses and NOT Hospitality Food Businesses. ****The FSS Certificate is valid for 5 years. The FSS Certificate is valid for 5 years. The Statement of Attainment will provide evidence of learning when the time comes to renew your certificate in 5 years. 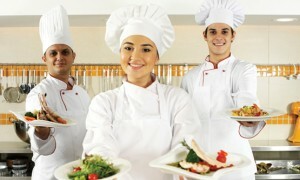 The Food Safety Supervisor requirement does not apply to businesses licensed by the Authority.